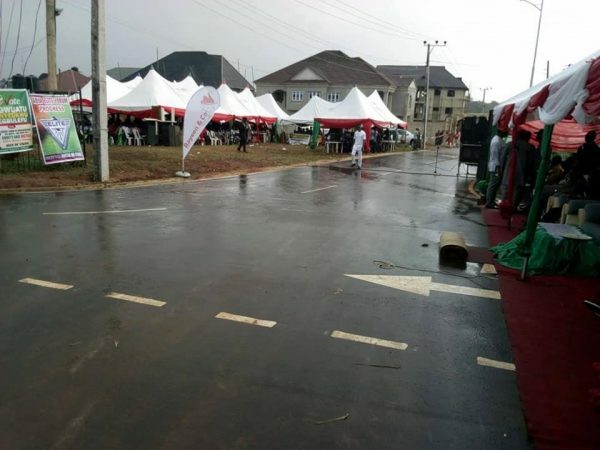 The Governor of Abia State Dr. Okezie Victor Ikpeazu commissioned Ukaegbu Estate Internal Roads, the road constructed by Raycon Construction Company is about 1.1 km with good drainage system and streetlights. 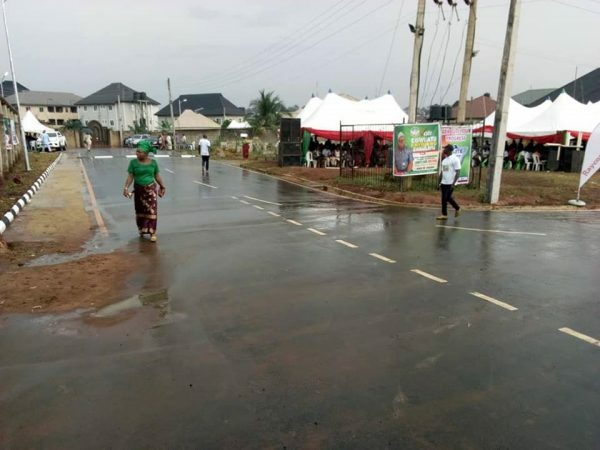 The road powered by an interventionist agency ASOPADEC was constructed to alleviate the suffering of Ohoke Afara community and other people living around the area who has suffered untold hardship overtime owing to the poor condition of the road before now, in line with the governor’s vision and mission which is simply anchored on making life easy for ndi Abia. 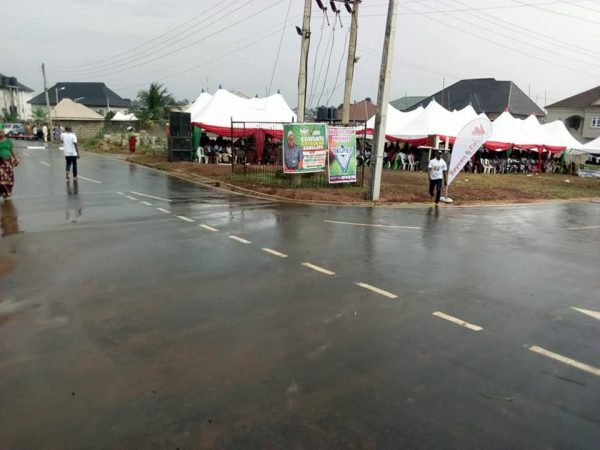 According to ASOPADEC Chairman Chief Sam Nwogu, Ukaegbu Road project is just one out 80 projects embarked upon by the 4th board of the commission sworn in by Governor Ikpeazu last August with a charge to intervene and compliment the developmental strides of the present administration in the State. 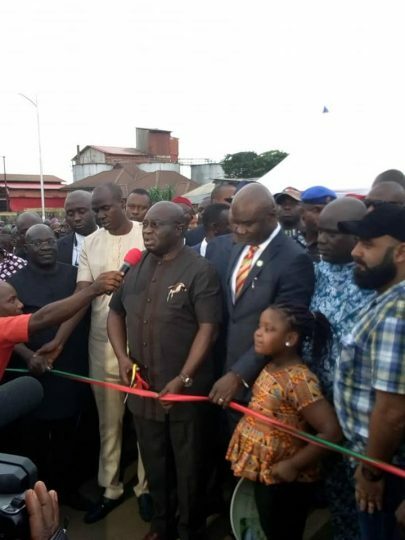 The Governor eulogised the 4th board of ASOPADEC for delivering such quality of road in a record time and charged them to take pride in the very many individuals they have put smiles on their faces with this road especially the school children that use the road to and from school. 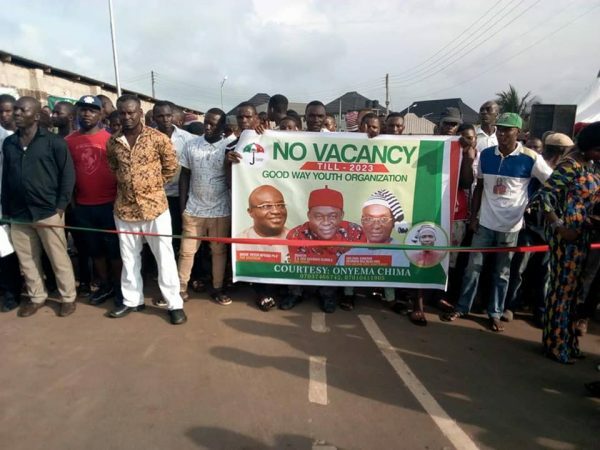 The people of Ohokobe Afara community and residents thanked the Governor for wiping away their tears against all odds, and described him as God sent, and pledged their unalloyed loyalty and support for his 2019 re-election.